The glorious sixteen, the Avon was the early morning venue and a PB chub was the target - I'm aiming for a six plus this season. James and I set about exploring, which was initially very confusing until we turned the map the right way up! Yes, really!! 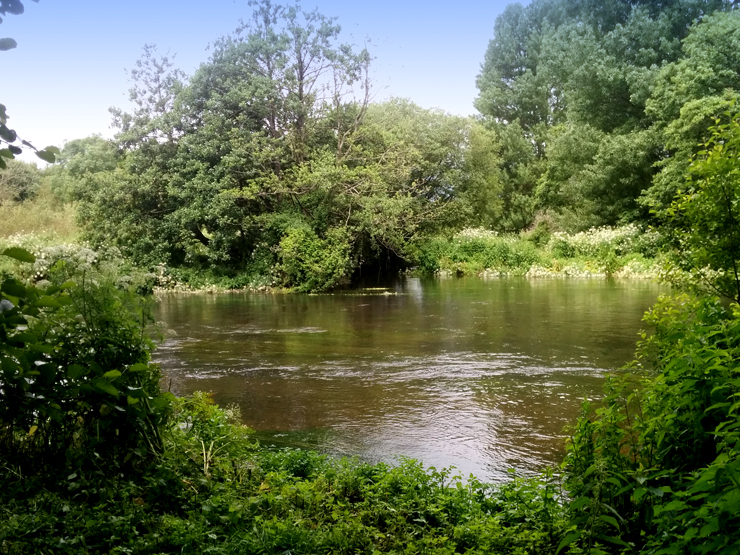 It soon became clear that the barbel and chub didn't want to play - in the clear water I was watching them spook away from the bait and even the free samples. Still at least we've seen them, and we will be back. We walked a lot of miles and explored a lot of water, spotting perch, pike and roach on route. Pike swims are noted for October. I knew when I set out on my PB challenge there was going to be less fish and far more blanks this season - but hopefully there will be the odd photo of a really big fish - hopefully! Ps, that's the only stickler with specimen fishing by design, the catch rate decreases but the momento's are much greater. And I had some luck, luck with bream wtf? Cheers. Freeline a slug ? it's a tactic I've had success using before when other baits failed. I might try it next week as at the minute the grass seems to be littered with them. Hope you have a good 2016 / 2017 season Brian. Good idea, they will be used to natural bait at the moment but it won't take them long to fall back in love with luncheon meat I'm sure. Thanks and good luck with your season too.